The Crusader Helmet as worn by knights of the Christian orders, like Hospitallers and Templars during the crusades. 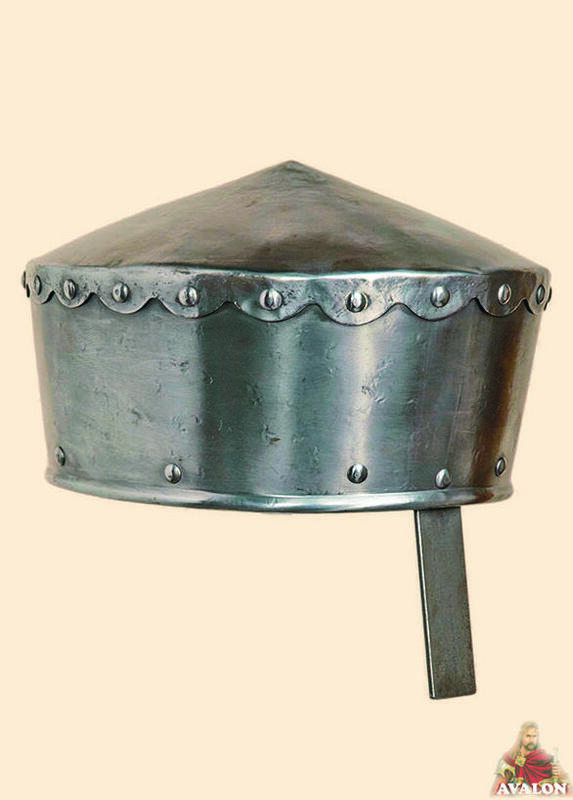 It is a flat top pot helmet with a large face-plate. Similar helmets are shown in the beautiful illustrated and unique Maciejowski bible. Replica of a late 12th century helmet as worn by knights of the Christian orders, like Hospitallers and Templars during the crusades. A comfortable, adjustable, and padded liner is riveted into the helmet, as well as a leather chin-strap with a brass buckle. Great Helm - Heaume is produced by highly skilled artisans in Italy, equipped with leather straps and external adjustable buckles to be worn.